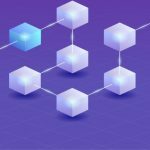 For those looking to take advantage of all the features and capabilities of AWS Blockchain who are not sure how to get started, the platform recently announced a series of templates that could prove useful. AWS Blockchain Templates let users launch an Ethereum or Hyperledger Fabric network with just a few clicks. Essentially, the templates create and configure all of the AWS resources needed to get you started so that you can get your app up and running quickly and without a ton of complicated configurations right off the bat. Blockchain technology is at the center of this new offering. The idea behind the technology in this instance is that it makes it possible to build applications where multiple parties can record transactions without the need for one central authority to verify and secure those transactions. To accomplish this, blockchain establishes a peer-to-peer network where each participant has access to a shared ledger of recorded transactions, which are immutable and independently verifiable. So what AWS Blockchain Templates adds to the equation is a quick and easy method for users to create and deploy secure blockchain networks using open source frameworks. Using AWS Blockchain Templates, you can deploy public or private Ethereum and private Hyperledger Fabric frameworks using AWS CloudFormation templates that are managed and certified. The templates then allow you to deploy the blockchain framework you choose as containers on an Amazon Elastic Container Service (ECS) cluster, or directly on an EC2 instance running Docker. The actual network is created in your own Amazon VPC. So you can use your own VPC subnets and network Access Control Lists and assign granular permissions using AWS IAM to restrict resource access. AWS Blockchain Templates are currently available for use, and there’s no additional charge to access them. You just pay for the AWS resources that you need to run your actual blockchain network, then create and deploy blockchain networks in the public AWS region of your choice. The company has also created a guide that’s available on its website to help those just getting started to learn about this new resource in case you have any questions or issues.